I’d kinda forgotten how nerve wracking being a new instructor can be… that is until a few days ago. Last week one of the gyms I instruct BODYCOMBAT at offered me a regular BODYPUMP class starting this Wednesday. Now if you’ve been reading this blog for a little while you may recall I did the pump instructor training module a few months ago… and I really enjoyed it. But for whatever reason (too much combat maybe – laziness more likely!) I’ve not really done that much Pump since. Participated in a few classes – and team taught a couple classes here and there, but really that’s about all. I guess where I’m going is I feel like I’m back at an instructing for dummies level for the first time in forever and it’s an “interesting” place to be. 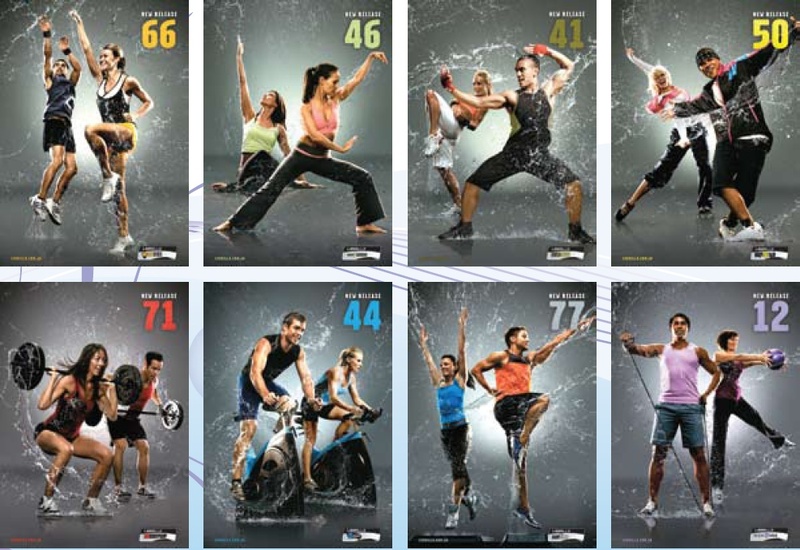 That’s the thing about the enormous variation between the 8 Les Mills programmes – they’re all so different that every time we start a new one we’re essentially starting from scratch; my skills in combat aren’t going to help me too much in pump, or step, or rpm, or balance (hmm I need to remember this theory as I was about to book into do an Attack module…) While I hobble around my apartment tonight learning a lunge track I’ll just need to keep reminding myself that all this variety is a good thing! 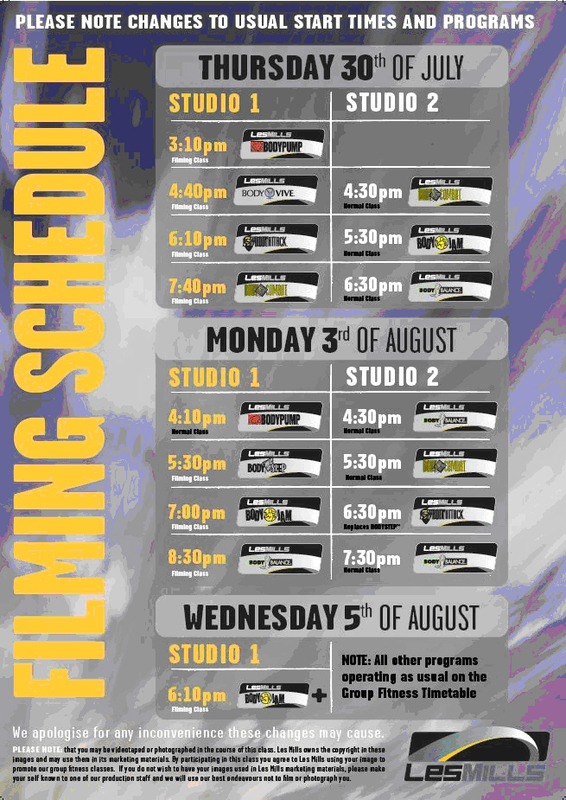 Since my earlier filming post I’ve had a tonne of questions about the actual times for the next batch of filmings – and Les Mills have just released them so here they are! 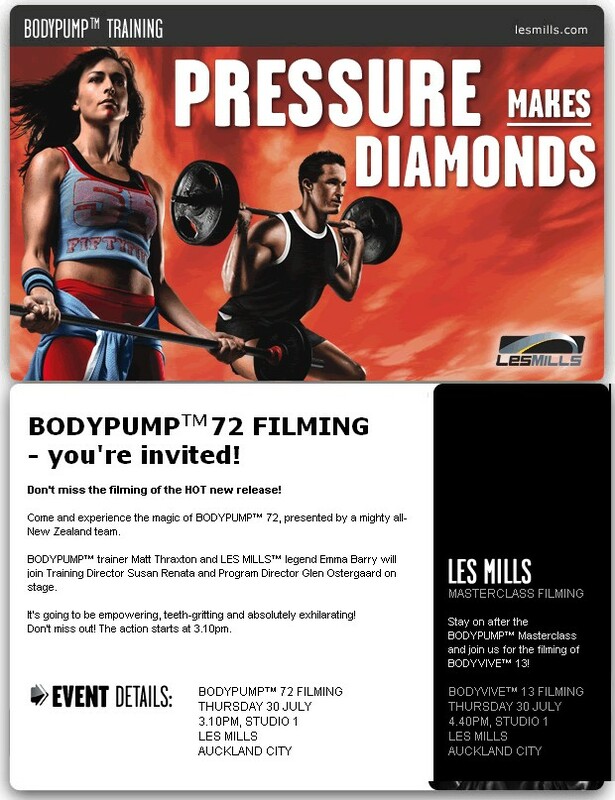 I’ll be at the BODYPUMP 72, BODYATTACK 67 and BODYCOMBAT 42 filmings – if you’re coming do let me know and look forward to seeing you there! Hey team, just a wee note to let you know that the tracklists for BODYCOMBAT 41 and BODYPUMP 71 are officially up! However, maybe I’m way off base as you’d think the other programmes would be doing the same thing – and this doesn’t seem to the case. Anyway, take a look at the BC41 tracks and definitely let me know you thoughts! The first Scooter track – Fire! Crikey busy day today. First looks like we’ve got the complete BODYPUMP 71 tracklist below – and also the latest batch of Les Mills’ Sizzlers wetting our appetite for the latest releases. Now we can also see what the latest batch of posters are going to look like. I think they’re awesome! The water theme seems to work a lot better than the ribbon theme of the last batch. I’ll post higher resolution versions of these when I get them, in the meantime be interested in your thoughts!